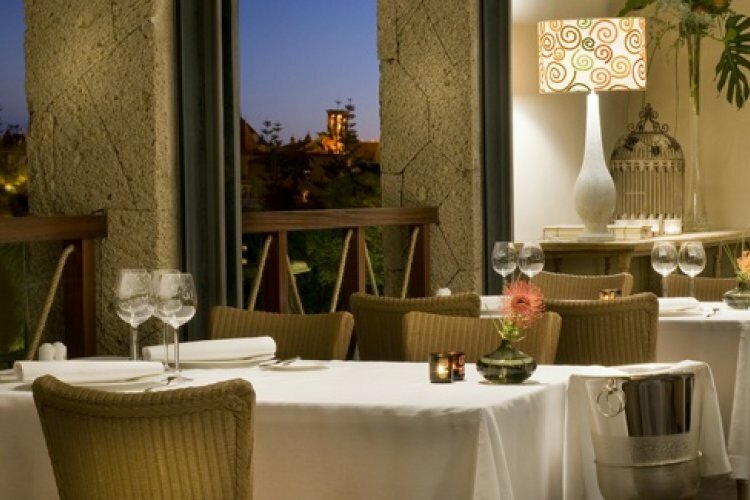 A Leading hotel of the world The Bahia Del Duque is a stunning resort set within 63,000m₂ of beautiful gardens. The 350 colonial style rooms and suites are tastefully decorated and luxuriously furnished with free Wifi throughout. All with options for sea view, family, deluxe and premium rooms & suites. For real indulgence the villas offer private pools, Bang & Olufsen music systems and even a butler service. Just 15 minutes from Tenerife South airport, the resort has many facilities and activities on offer. Nine restaurants offer international and local cuisine and the adults only outdoor lounge area is just the place to relax after a hard day soaking in the sun. The beach and shimmering blue sea is a few steps away and with six swimming pools including a children's pool you aren't far from a refreshing dip in the water wherever you are in the resort. Mix your relaxation with a variety of activities on offer. Try your hand at beach volley ball and giant chess. Hire a mountain bike or hit the squash and tennis courts. A jogging circuit is available along with a fully fitted gym offering Pilates, spinning and a personal trainer. The Bahia Del Duque boasts great water sports including diving, windsurfing, parasailing, sailing, sports fishing and excursions on a luxury yacht. If you're looking for something a little different then try cocktail making, a visit to the astronomic observatory or the Thai room at the resort's spa for traditional Asian treatments. The hotel has fantastic kids and teen clubs and a babysitting service. Baby essentials are available to hire and a great kids' kit is given on arrival including a robe, slippers and rubber duck. To top it all off milk & cookies are delivered to room for your children. "Extremely hot. Hottest January they have had for 70 years"
"Great for January, Hot enough to sun bathe and only one day when it was overcast"
"Mixed between 12 and 22 degrees"
"Very poor- very little sun, chilly, & locals could not remember a worse winter!Highly unusual." "Mostly sunny 22 degrees most day"
"Cloudy the first week but the second week hot and sunny all the time." "Excellent one cloudy day in 14"
"Very cold our first week but warming up to around 30 degrees by the time we came home. The first two weeks we had bitterly cold winds." "Very sunny and no rain"
"Excellent with very pleasant temperatures." "hot a little cloudy a couple of days." "Very good - up to 30 degrees on some days." "Not bad 20s some rain one night of very heavy sea .no one's fault"
"Chilly mornings and evenings, but sunny warm from midmorning to about 5PM and at time very hot." "In its 20s in March"
"Great weather, lots of sun, hot but not too hot"
"Lovely and sunny, chilly in the shade & at night. Need a jumper!" "Some cloud, but overall warm"
"Sunny and hot every day." "great temperatures in May with little ones"
"Fairly good. Perhaps a bit early in the year for hot weather." "The weather was amazing! Warm day & night..."
"Hot and sunny every day. Not as breezy as anticipated." "Hot sunny with a gentle breeze lovely"
"between 28 & 33 degrees. Very hot but not too hot!" "The weather was fantastic in the high 20's every day. A very comfortable heat and in the evenings it was just right for sitting outside in." "Unfortunately we had two days of rain which was unexpected but over the two weeks in general it was hot and sunny"
"Very good, plenty of sunshine, temperature around 30 - 32." "hot most days even if its cloudy still warm." "A little cooler than previous October visit but pleasant enough." "Very Sunny with mixed cloud. Averaged around 27 degrees in early October." "Rained at first cleared later"
"Great,nice and hot, shock coming home!"